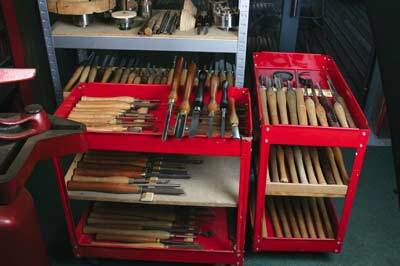 I have been turning for 38 years, and I must have well over 100 tools in my workshop. I did used to run woodturning courses with four students, but even for them that's still a lot of tools. So why so many? First of all, I still have the 'set' of tools I bought with my first lathe - a Myford ML8. 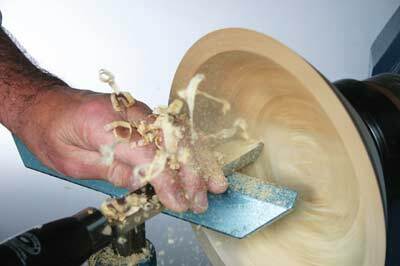 After a few years' of turning, I went on a week-long woodturning course with Scott Myles, in Fife. 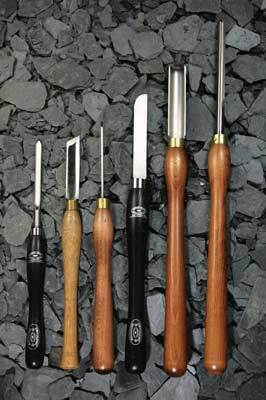 There I was introduced to a different range and size of turning tools, so what should I do? Buy some, of course. That more than doubled my tool collection and put a hole in my pocket. I spent some time making my own tools, working out what and how tools worked in a particular way. One design went into production and, of course, I had to have at least one set of each size - that was the Robert Sorby captive ring tool. I collected tools from various countries I visited: interesting hook tools from Norway, and even some tools from Australia. When it came to having students, I needed more of everything. Well, that tipped me over the edge. But then along came powder metallurgy tools and the cycle keeps going. 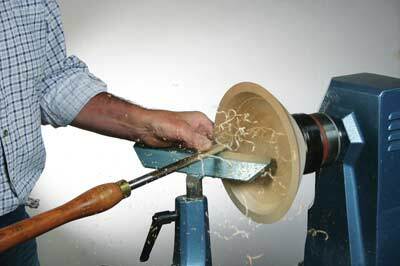 With a general goal of 'taking up woodturning,' the advice on which tools to buy is based on a notional set of projects which, to an average woodturner, is likely to be: bowls up to 255mm (10in) dia. x 75mm (3in) deep; spindles up to 75mm (3in) diameter; and 510mm (20in) long, plus some additional end grain work. The other thing the new turner wants is 'instant success,' so the tools have to enable them to achieve that, as well as be suitable as their woodturning skills develop. Looking at some of the sets on the market, what they do is deliver a set of tools to a price and they relieve the novice of the necessity of deciding which tools they should buy â€“ they are adequate for the smaller end projects. But then for the first project, the turner buys a 25mm (10in) diameter bowl blank, or a 75mm (3in) square section for a lamp, then I think they are going to have some unnecessary difficulties. The main reason for my aversion to most sets of tools is tool size. 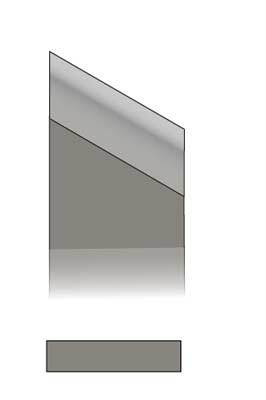 An 12mm (1/2in) deep fluted gouge will do about 99 per cent of what a 10mm (3/8in) deep fluted gouge will do. 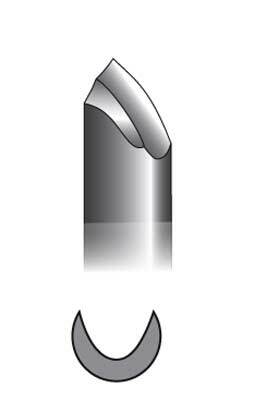 But a 10mm (3/8in) deep fluted gouge will only do 50 per cent of what a 12mm (1/2in) deep fluted gouge will do. So it makes sense to buy the larger gouge at the start. Using a 12mm (1/2in) skew to trim a 50mm (2in) dia. spindle comes too close to disaster for comfort; a 25mm (1in) skew, on the other hand, will handle it much better. A 12mm (1/2in) scraper might be fine for refining the inside of an eggcup, but it is not suitable for refining the shape of a 150mm (6in) diameter bowl. A 38mm (1 1/2in) side-cut rounded scraper could do both jobs. That extra capability these tools offer will make an enormous difference to your first experience of turning. Now I have come to the point where I realise that many of the tools I have I will never use again, and some of them I have never even used. They are all taking up valuable space in my workshop, so I have started off loading them. A few weeks ago I gave away about 15 tools - to a deserving cause. No doubt more will follow in a similar direction. 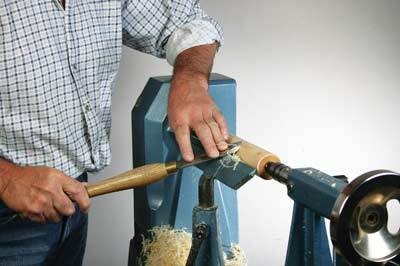 Recently a woodturning neighbour, Ivor Thomas, was relating that he now understood the questions I asked when he sought advice on which turning tools to buy when he took up woodturning. My question was: 'What are you going to make?' And he wasn't the only new recruit to woodturning who didn't have an answer to that question. By contrast, another local recent recruit to woodturning, Kenny Shuttleworth, wanted to make pens, so it was fairly easy for him to work out exactly which tools he needed without my help. 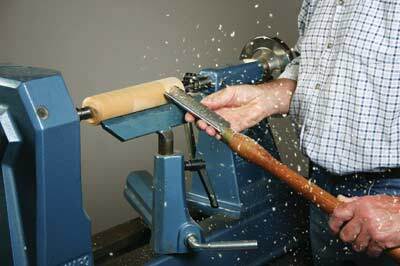 Getting down to defining a suitable set of tools for the beginner, I examined exactly which tools I use on a regular basis for bowls, end grain work and spindle turning projects - and they are surprisingly few. But alongside them there are some specialised tools which I might only use occasionally, and it is well worth having them on hand for when they are needed. You might not find all the names in a manufacturer's catalogue, but that's because the terms I use are based - where possible - on the physical description of the tool, or a safety guide. There is no reason to limit what the tool can be used for by its title. 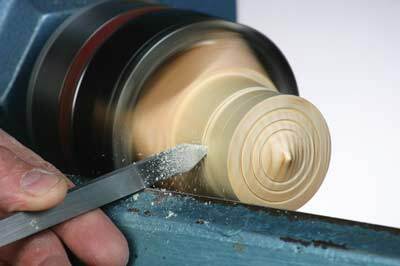 A deep fluted gouge - or bowl gouge - is the tool to use for cross grain bowls, but it is also great on spindle and end grain work as well. 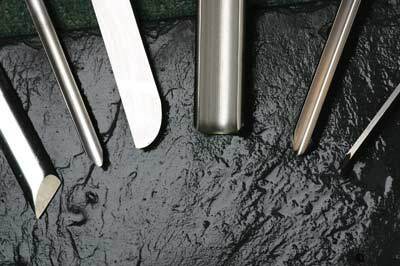 The spindle roughing gouge - or roughing gouge - is for roughing down spindle work, but should never be used on cross grain work as it can be very dangerous. I have seen a very serious accident result due to this tool being used inappropriately. A skew chisel is for smoothing and detail work on spindles. 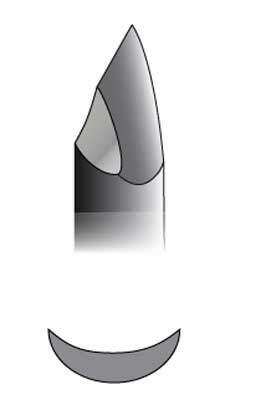 The shallow fluted gouge - or detail/spindle gouge - is primarily for detail work on spindles, but can also be used for detail work on end and cross grain bowl work. Scrapers can we used on almost anything, for refining shapes and creating a uniform finish ready for sanding. A parting tools does exactly what it says on the box: separates two pieces of wood. 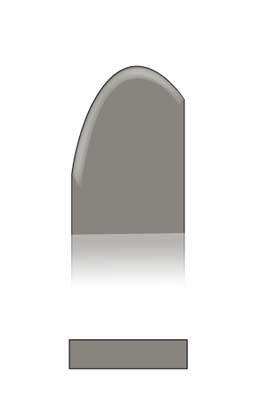 It can also be a sizing tool if it has a straight edge. With some tools currently on the market, there is the option to go for a 'long and strong' version, however, this is not necessarily the best option to go for. 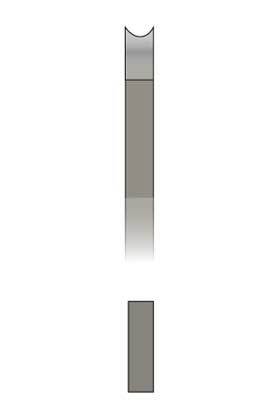 These are generally 'longer' versions and the extra length is not matched by extra strength. I would therefore go for the standard versions of these tools. These are just as important as the tool stock, as it is your point of connection with the tool for shape control. Generally, the handles I suggest purchasing are at the larger end of the range. Okay, traditional handles were short, but then they were only working with foot power and not 1.5hp as on many machines we see today. There is only one drawback to the tools I recommend for the beginner, and that is the initial cost involved. And it might be that this set of tools costs more than you spent on your lathe - but it is money well spent in the long run. It is therefore time for a re-think. My advice is to not buy all the tools at once. Instead, select the ones for either bowl turning or spindle turning - whichever is your preference - and buy the others later. There is no rush. Or take a closer look at the sets available and see how many of the tools match my recommendations. 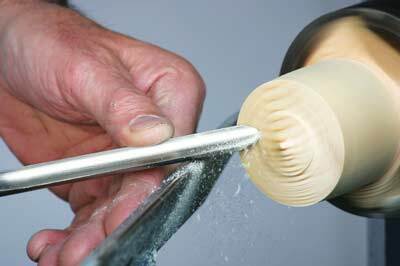 If the set has a 20mm (3/4in) spindle roughing gouge, then that is a good tool to go for. 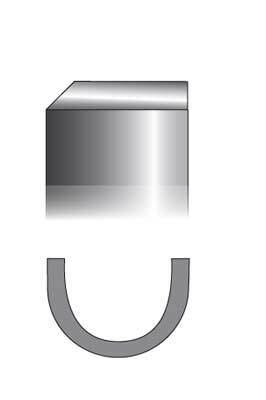 A 10mm (3/8in) shallow fluted gouge will also do a good range of your turning work. A simple parting tool, if you modify it, will be a very close match. Then you have a start and as your turning develops - and if you feel the restrictions of some of the other tools in the set - then it is time for you to go for the bigger version. 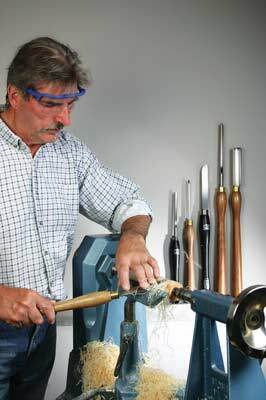 Remember that buying the right tools at the beginning will enhance your experience of woodturning, and will also save you money in the long run.